Click on the tabs below to view screenshots of each dashboard type and a guide to set up the dashboard for your Membership site. Add the “Recent Comments” widget to the newly created “Member Dashboard” widget area. Navigate to Memberships > Page Settings in the WordPress Admin. 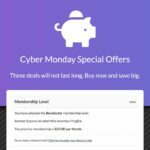 Edit your site’s “Membership Account” page. Set the “Template” to “Fluid Width”. In the “Memberlite Settings” area, check the boxes to hide breadcrumbs and hide the page title. This code recipe requires a Memberlite Support Membership. Set the “Template” to “Full Width”. Add the “(bbPress) Statistics” widget to the newly created “Member Dashboard” widget area. What about that fancy “Welcome” message in the masthead? All of the dashboard demos feature a common “Welcome, USER” and avatar display in place of the default “Membership Account” page title. Here’s how to set it up. Save the upload the functions.php file to your server. If you do not want to use a child theme, you can place the code recipe in a helper PMPro Customizations plugin. Just note that the recipe as-is will only work for a site using the Memberlite theme. Now go make a cooler Member Dashboard! The ideas in this post are a starting point to creating the BEST member dashboard that fits your membership site model. You can pull from all of the concepts or start with your own. If you have components of the dashboard that vary based on the member’s level, use the [membership] shortcode in Paid Memberships Pro to reveal specific sections to the member. There are many, many possibilities if you spend a bit of time considering the user experience of your membership site. 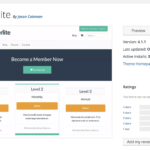 If you aren’t using the Memberlite theme, you can still make use of the proposed ideas — but you’ll need to work within the confines of your theme’s shortcode and layout options. This entry was posted in Membership and tagged account, design, member dashboard, page layout, usability. Bookmark the permalink.